This sorting algorithm is based on the values of the digits in the positional representation of numbers to be sorted. Consider the number 235 in decimal notation It is written with 2 in the hundredth position, 3 in the tenth position and 5 in the units' position. If we want to find which number is greater between two such numbers, it may be done in the following way: Starting with the least significant digit, we check which number has larger digit. The number with the larger most significant digit is the greater number. If all digits match, the numbers are equal. This technique is implemented in radix sort algorithm. The elements are populated in an array. The radix sort algorithm implements a 10 rows of queues. 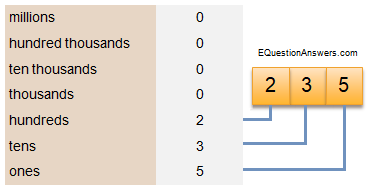 The queues are maintained corresponding to the elements in the decimal number system. Queue is for holding numbers whose digits ends with 0. Similarly queue to queue are for holding digits 1 - 9. Now all the queues are filled. It is time to dequeue the numbers and put those back to array. Dequeue is done in the same order, starting from zero till 9. Now the array is repopulated with numbers based on the rank of the digit position. This process is repeated starting from least significant digit to most significant digit. Once the above process completes for the the most significant digit, it completes the sorting process. Since the highest number in the array (98) has two digits, the process is repeated for the next digit, i.e. the most significant digit. Thus, the array is sorted. The method responsible for extraction of the digit from a particular position may be indicated by get_digit_at(int number, int position) where number sent for extraction and position from which digit has to be extracted. The method implementing radix sort may be defined as radix_sort(int elements, int count) where elements is the array containing the elements, count is the number of elements present in the array. This function calculates the highest number and the digits present in that number. The elements in the queues are put back into the array after all the numbers have been checked. These steps are repeated from digits in zero th position till the highest digit in the max number present in the array. The time requirement for the radix sorting method depends on the number of digits and the number of elements in the array (count). Since the outer loop for(i= 0;i< digits;i++) is traversed "digits" times and inner loop is traversed "count" times, the sort is approximately O(max digits*count). this sort is reasonably efficient when the number of digits in the numbers is small. Full working code of radix sort written in C language however we have utilizes C++ STL queue class for simplicity. 11     "ten thousands", "hundred thousands", "millions"
You have viewed 1 page out of 248. Your C learning is 0.00% complete. Login to check your learning progress.